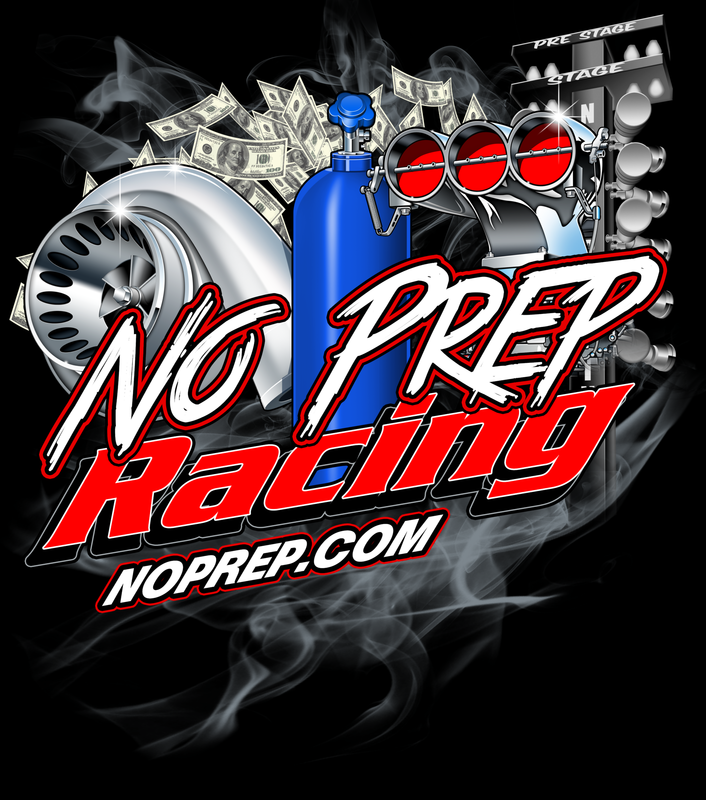 No prep racing has taken the world of drag racing by storm. 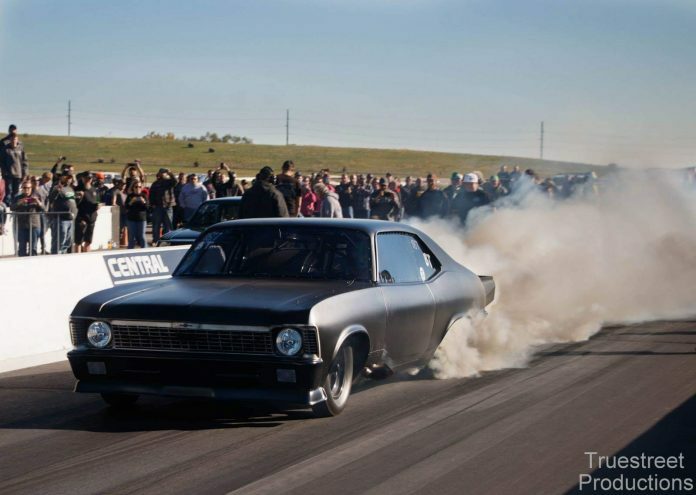 It mirrors the old school days when drag racing first got its start on city streets. As the name implies, the drag strips aren’t prepped with Pimp Juice (or any other type of adhesive compound). Instead, competitors in no prep racing attempt to draw all of the horsepower of their vehicles without the assistance of adhesive compounds. Racing on a track that hasn’t been prepped is certainly more challenging than racing on one that’s been primed. Why? – Because on a prepped track, cars grip to the surface, which allows for better handling under heavy and steady acceleration; however, on an unprepped track, cars have little to no grip, which means that drivers have to be constantly aware and know how to act quickly so that they can make adjustments to the vehicle in accordance with the surface of the track. In addition to being more aware and ready to act quickly, no prep drivers do outfit their cars with state-of-the-art technologies in order to improve their performance and their safety. If you’re wondering what type of technologies are used in no prep racing – whether it’s because you’re interested in racing yourself, or because you’re a curious fan – keep on reading. Below, we highlight some of the advanced tech no prep drivers are outfitting their vehicles with. That’s right, nitrous oxide – aka laughing gas – the stuff that medical professionals use to sedate patients before doing procedures like root canals, is one of the most commonly used tools in the no prep drag racing scene. In this context, racers commonly refer to nitrous oxide as simply “nitrous” or “NOS” (after Nitrous Oxide Systems, one of the first companies to develop nitrous oxide for use in an automotive capacity). When liquid nitrous is injected into the engine of a vehicle, there’s a lack of pressure in the air that surrounds it when the engine is revved. As a result, the liquid changed into a gas, which brings the temp down to a seriously cold -88.5° C, which in turn, boosts horsepower. The intake charge is cooled, which allows more air to reach the cylinders. When there’s more air in the cylinders, more fuel can burn, and when more fuel burns, the more power the vehicle will have and the faster the vehicle will go. 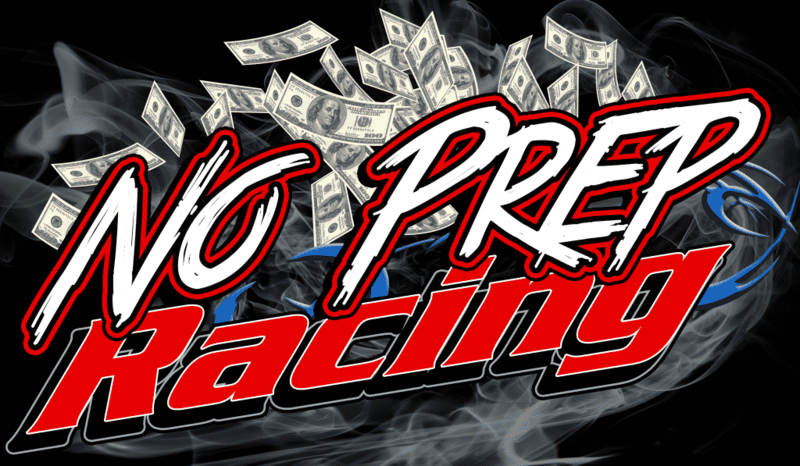 The use of nitrous in no prep racing is pretty obvious; you can tell which drivers are using it by the huge cloud of smoke that smoke that pours out when drivers “purge” their engines. Turbochargers are commonly used in no prep racing. Exhaust gases spin an impeller, and as the impeller spins, it compresses air and forces it down directly inside the engine. The more air that is pushed in, the more fuel can be added, and more fuel leads to more horsepower. Turbochargers are highly effective, as they can produce significant amounts of horsepower; however, there is one drawback: they get scorching hot. The heat can actually reach temperatures in excessive of thousands of degrees, which can actually result in lost horsepower instead of more horsepower. Furthermore, that heat can damage the transmission; especially if it isn’t well-tuned. But, if used correctly, turbochargers can generate a massive amount of power, which is exactly what no prep racers are trying to achieve. Superchargers are another form of technology that many no prep racers use. Supercharging refers to boosting or intensifying engine combinations. The process is similar to turbocharging, as it involves compressing air directly into the engine in order create more power. The first type draws air into the engine with an impeller, while the second and third types utilize meshing gears to bring air in. Roots are the oldest form of superchargers and the least effective, as they are very heavy and instead of continuously moving air, they move it in sudden bursts. Twin screw superchargers trap air into small pockets that are made by rotor lobes, which then compresses the air in the rotor. This type of supercharger provides a more continuous flow of air; however, they are more expensive. Lastly, the centrifugal supercharger uses an impeller that rotates at high speeds and quickly draws air into the compressor, also creating a continuous flow of air. Centrifugal superchargers are the most commonly used in the no prep racing scene. Bump boxes were initially developed for use with pro modified racers that were using turbocharged engines; however, now no prep racers that are using any type of engine and any power adder combo have realized the benefits of the bump box. The bump box plays a key role in bumping in, a part of the staging process (hence the name of this tool). Turbocharged racers were experiencing difficulties with bumping in, and the bump box was designed to alleviate these problems. Essentially, a bump box moves a vehicle forward by ½ inch with the single push of a button; drivers don’t have to take their foot of the brake, which can result in them moving forward more than they should and usually rolling through the beams. 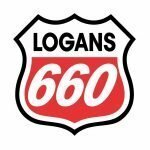 This tool works by using the transbrake solenoid in the transmission in order to control the forward momentum of a vehicle, which thus allows the vehicle to move forward right into the stage beams, instead of moving past them. Basically, the bump box directs the transmission’s power down into the tires for a very short period of time. The bump box can be designed to move the car forward smoothly, or it can be designed to move it hard; whichever the racer prefers. There’s certainly nothing more thrilling than watching drag cars race around a strip that hasn’t been prepped at incredible speeds. 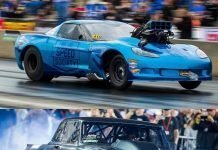 Thanks to the technologies that are being used in no prep race cars, drivers are really able to make the most out of their driving and take drag racing to the next level. Next articleJay Boddie: Driven To Drag Race, West Coast Style. The History Behind The Man Keeping The Scene Alive.